Emerald Green Cuff Bracelet Big Wide Wire Knit Jewelry Lace Mesh Arm Cuff , Unique Statement Jewelry by lapisbeach on Etsy Pantone Color Emerald Green - YAY! Let's hear it for Emerald! 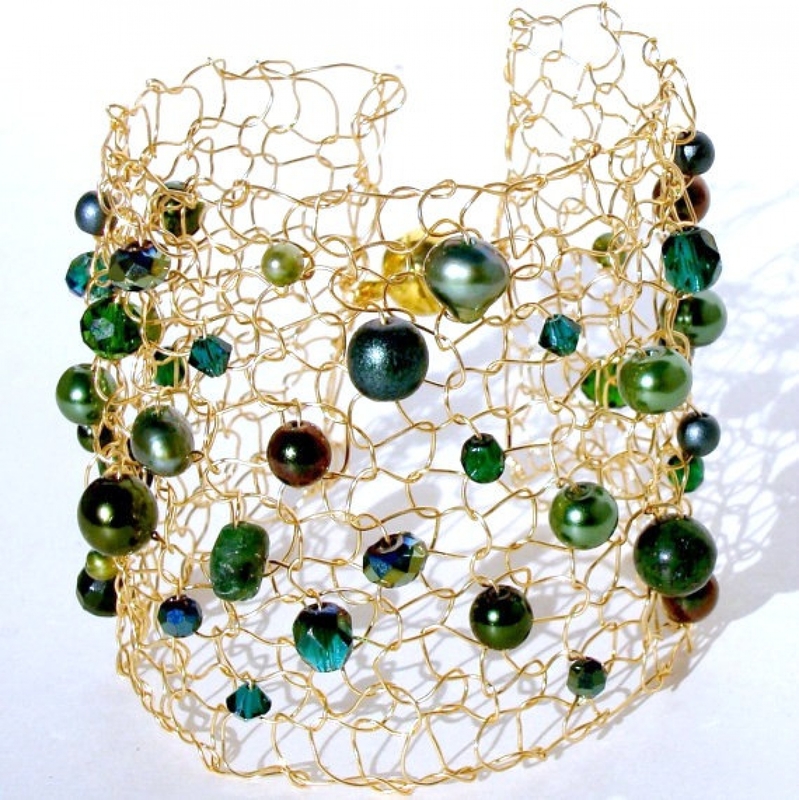 Gorgeous and unique hand knit metallic gold cuff bracelet. 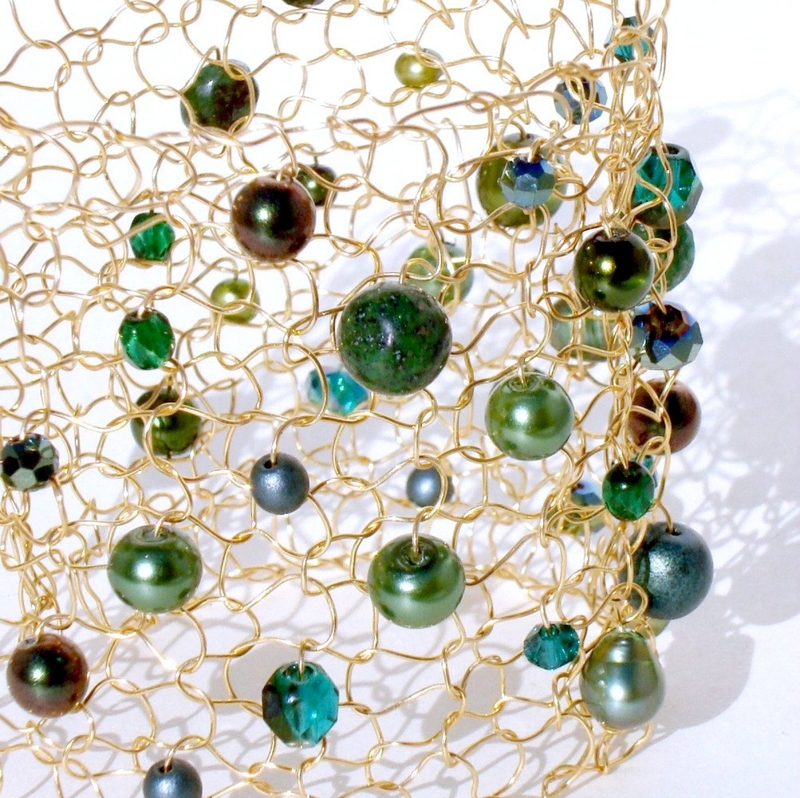 The various shapes and sizes of pearls and crystals dance throughout this knitted wire piece. 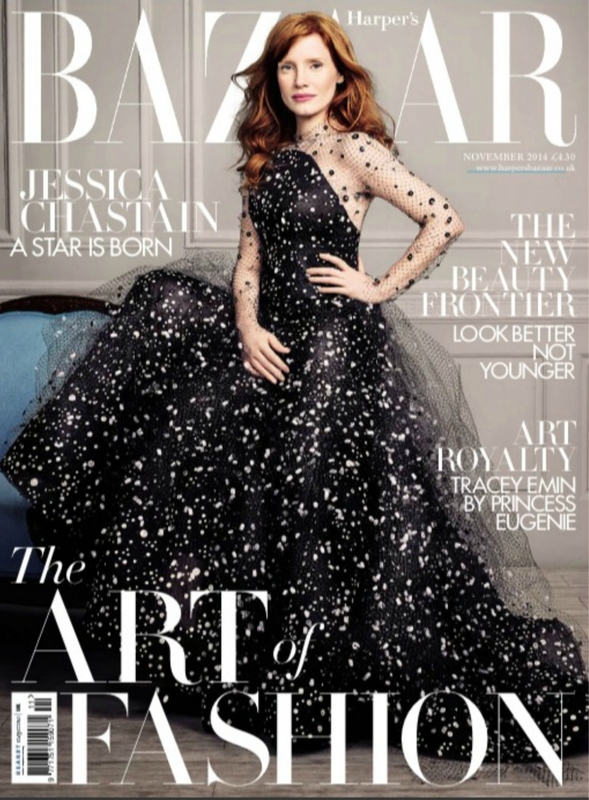 A beautiful statement that can be worn dressed up or dressed down. Every single piece is uniquely different due to the bead line up - so completely one of kind for the person who has everything. 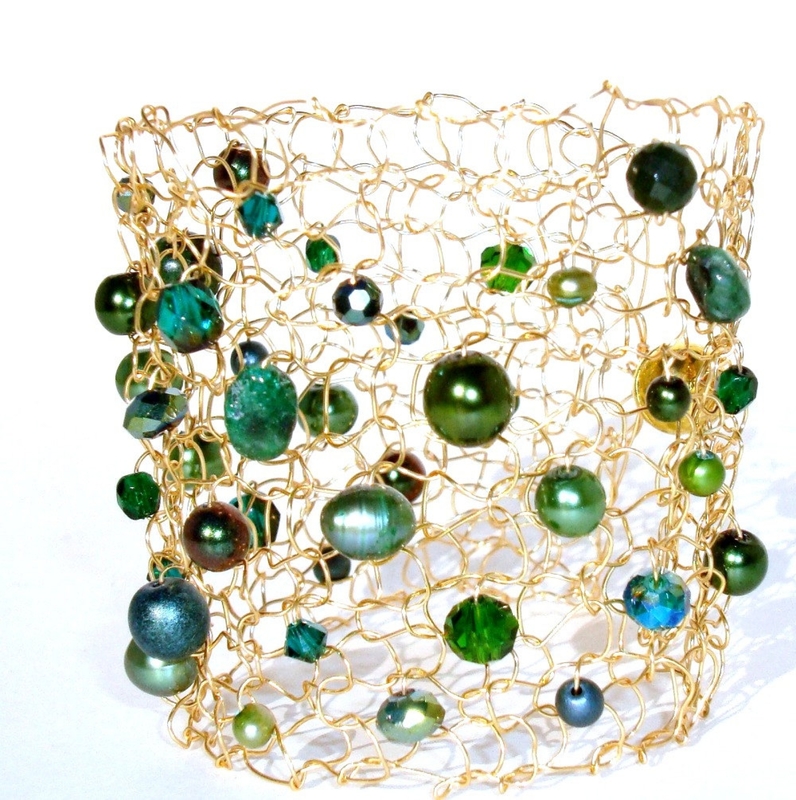 Stunning emerald green pearls, stones and crystals mixed with other shades of green are intricately woven into this cuff. Perfect for the upcoming color of the year! Emerald is hot in fashion this year - so get the perfect accessory to set off those Emerald Greens! This delicate yet dramatic piece is 2" in width and will be knit to size. They are finished with a simple, yet very strong magnet for convenience. Please indicate wrist length at time of purchase. 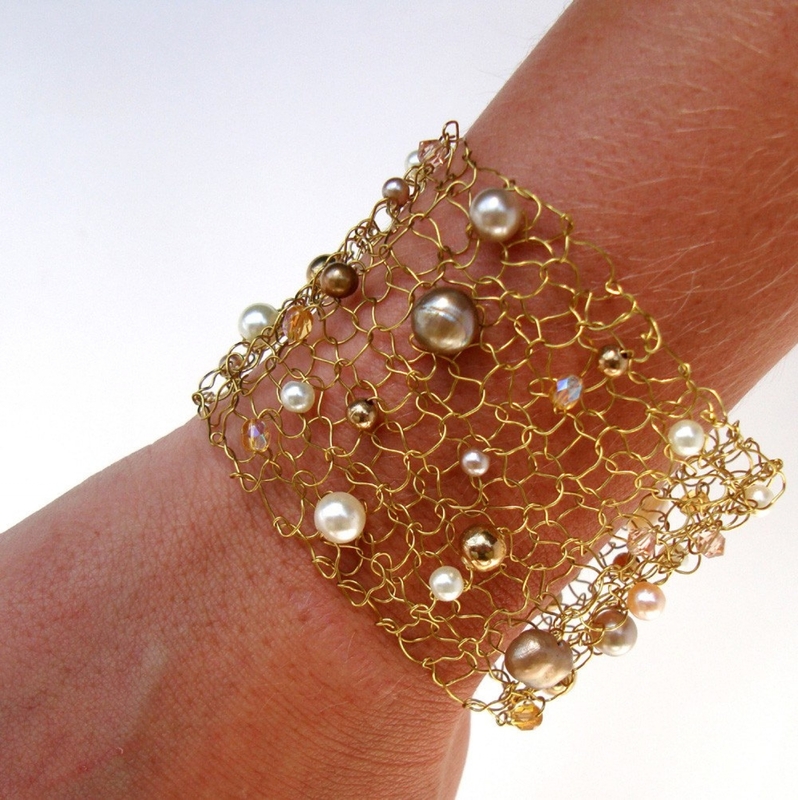 The last photo is of one of my wire knit cuffs on the wrist - to give you an idea of how they look on the arm. They are slightly adjustable due to their knitted nature - for a closer fit on the arm- just tweek the sides of the knitted cuff out wider- hence shortening up the length- viola! Please feel free to contact me anytime with questions.